'Laila Mai' and 'Millie Grace' - Floating Apartments at Victoria Quays, Sheffield. A new concept in accommodation, award winning Houseboat Hotels bring you static houseboats offering apartment style accommodation, permanently moored in Sheffield's unique waterfront location, Victoria Quays. 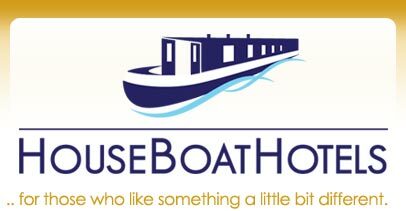 Newly refurbished, individually designed houseboats providing guests with all the comforts of home - see full specifications / features below. Free parking permit is available. Sheffield Arena and Meadowhall Shopping Centre are a 10 minute Supertram journey away. Sheffield City Centre and Sheffield rail station are only 10 minutes’ walk away. Overall, this is a surprisingly tranquil retreat, just a stroll from the heart of the city. Perfect private location for business or leisure stays. Both boats are 42ft long, 10ft wide. They are fitted out in light oak with inset lighting. Very light and airy with plenty of windows for natural light. Both boats have warm air central heating. Each boat has a double bedroom, with reading lights, flat screen TV with Freeview, under bed storage and wardrobe. There is a full size bathroom with corner shower, electric flush toilet and sink. In the galley there is a raised dinette which converts into a double bed. There is a four ring gas hob and cooker, sink and a hospitality tray with kettle, tea, coffee, milk, sugar and biscuits. In the saloon there is a plush sofa, wide screen TV with Freeview, music system and double opening front doors which lead onto the bow of the boat, where you can sit and watch the world go by! There is a large canopy at the back of the boats which allows guests to sit out in all weathers. There is everything on board you need for self catering including crockery, cutlery, pans and utensils! Also there are games, magazines, books and a first aid kit is provided. Both boats are fully insured, have gas and safety certificates, landlords certificate and have fire extinguishers, fire blankets, fire alarms and carbon monoxide alarms. There are also life belts should anyone go for an accidental swim! Unfortunately our boats are not suitable for wheelchair users, or people with very limited mobility. Rates: These are indicative only, prices fluctuate depending on season, demand etc. Price shown is per night, for the whole boat! We charge for the adults only; Children **under 14 years old** - are free! All breakfasts are on request, see 'Extras', below. Freshly laundered bed linen, towels. Teas, coffee, milk, bottled water. BOOK ONLINE! - Click here..
Visit our comments page to find out what others have to say!